Auckland-based Indie artist, Jasmine Balmer aka BEING. 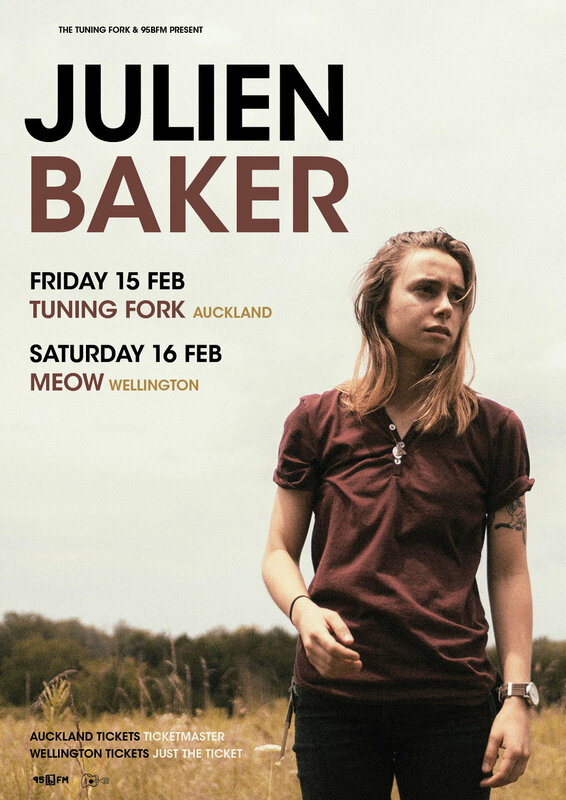 has been chosen as the New Zealand support for the vulnerable yet resilient Julien Baker. Singer-songwriter Julien Baker has shows at the Tuning Fork and Meow, performing songs from Turn Out The Lights. Turn Out The Lights throws open the doors to the world without sacrificing the intimacy that has become a hallmark of her songs. The album explores how people live and come to terms with their internal conflict, and the alternately shattering and redemptive ways these struggles play out in relationship. BEING. 's music pairs neatly with Baker's. From melancholy-surf aes to zest-drenched Indie Pop to thought-provoking spoken word, vulnerability and "mind-mess," BEING. delivers a dynamic live performance. She turns the chaotic soundscape, peaceful. With Baker fresh from multiple North America and European tours, there is no doubt that those in the audience will experience deep and powerful performances from these two strong Indie songwriters.